Denver Broncos cornerback Aqib Talib has been suspended for one game by the NFL after poking Colts tight end Dwayne Allen in the eye on Sunday. Talib, whose Denver Broncos dropped a 27-24 decision for its first loss of the season yesterday, got fed up late in the game with Allen. Prior to receiving an eye poke from Talib, Allen was jawing with Denver’s Von Miller while the Colts attempted to put the game on ice. 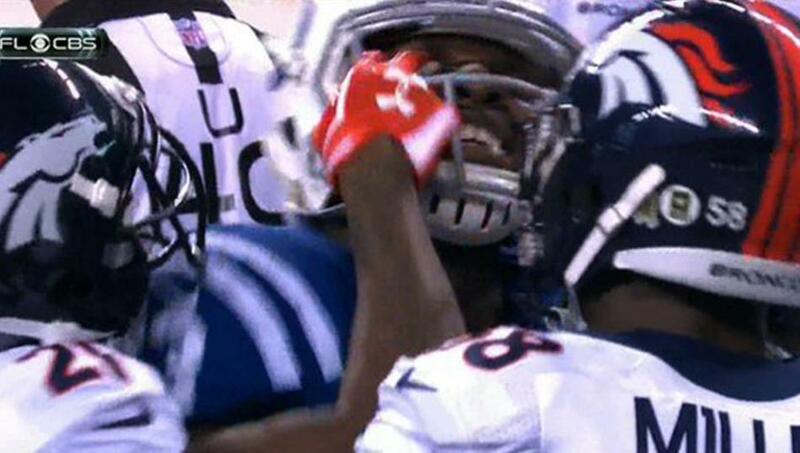 At that moment, Talib clearly went to poke the Colts tight end in the eye. Following the game, Talib stated it was a mistake. Considering his other teammates (i.e. TJ Ward) often dive at other players’ legs, I have a hard believing that. Talib is appealing the league’s decision.